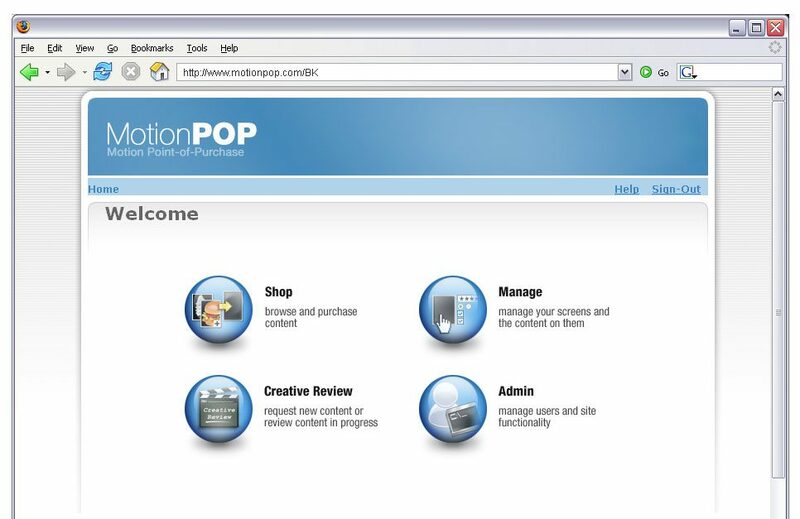 MotionPOP was a web application conceived, designed and built by my partner and I back in 2005. 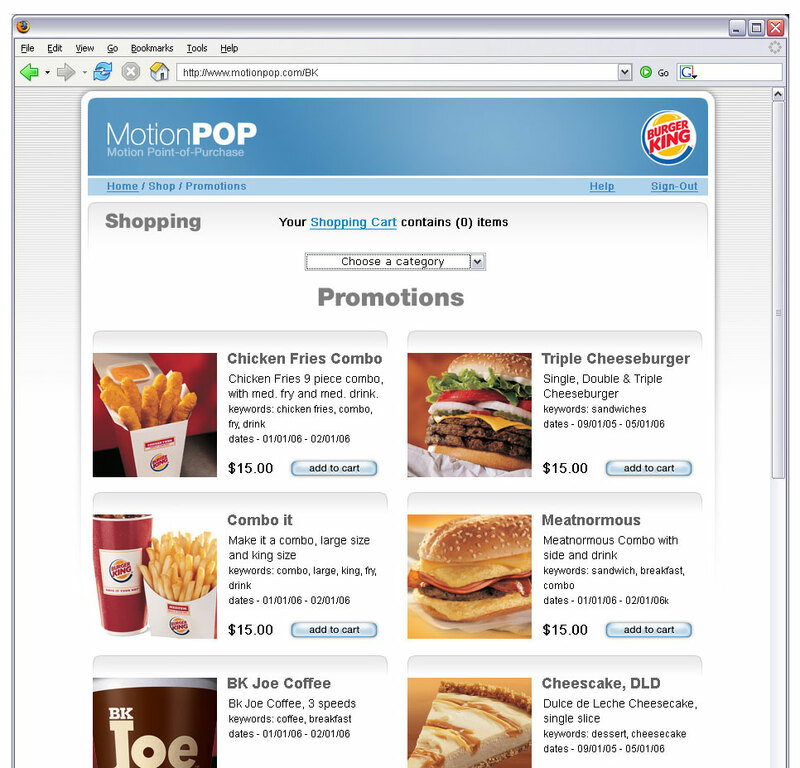 We were searching for a way to better control in-store animated promotional screens. but the interface was ... challenging. Adding fresh content, specifying prices and locations, and scheduling things was not user-friendly. 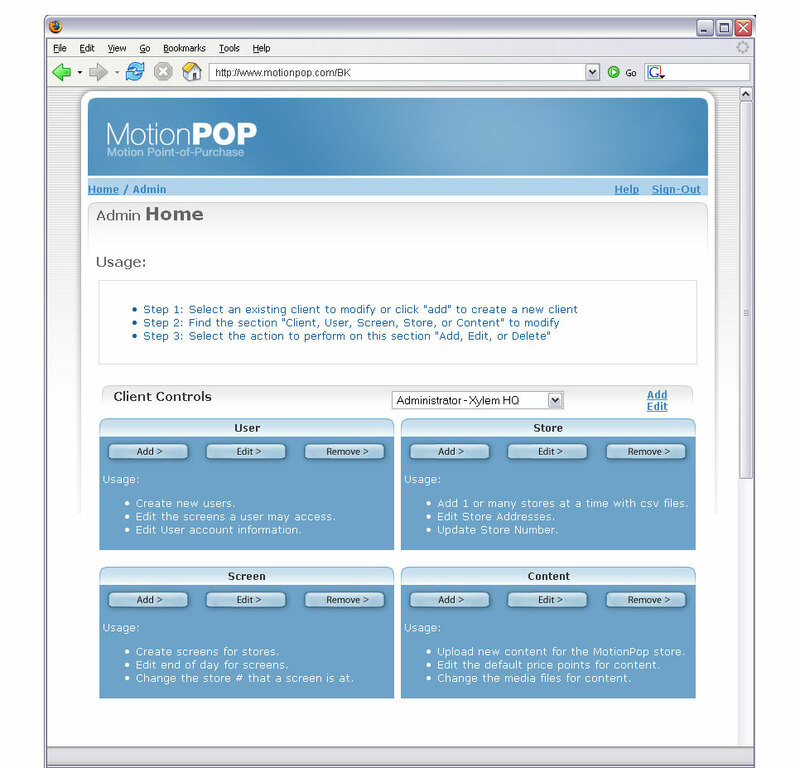 Very few of our clients regularly used the software, and the few that did had to be manually schooled in it’s intricacies. It was software built by engineers, for engineers. 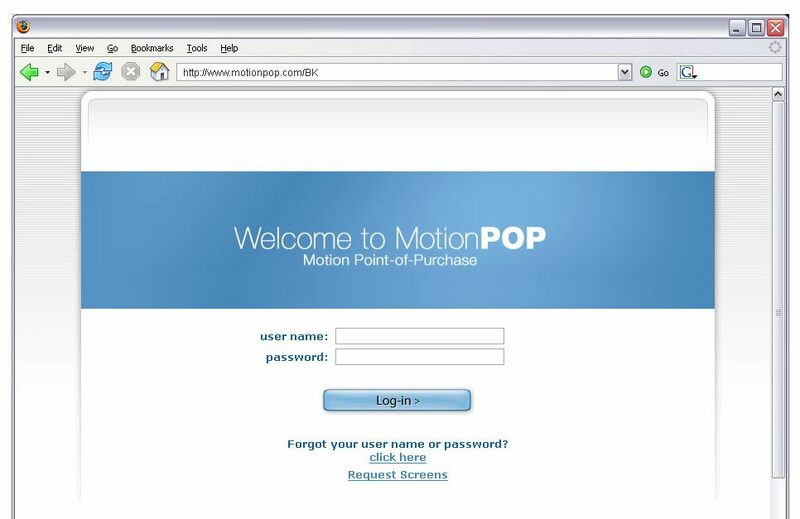 MotionPOP was designed for maximum simplicity. Our clients could purchase content just like purchasing something on Amazon, and the content would automatically upload and play at the appropriate time and location. Every promotional spot was already tagged with specific characteristics: daypart, day, active dates, recurring state, category, hierachy, pricepoint, market, etc. 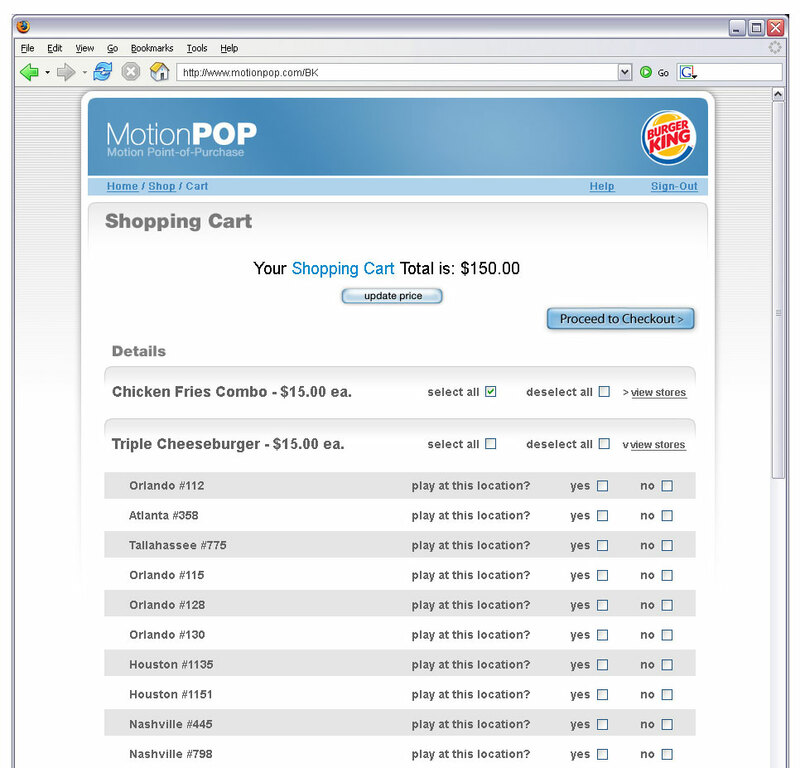 If SO DESIRED, the user could adjust things such as dayparts and pricepoints, but that was not required. Each piece of content was already tagged and ready to display. Our concept and software were fantastic. Just ... 8 years ahead of their time.